In the last few years, numerous advances have punctuated the growth of Indian allopathic care. Indian doctors who are today recognised to be among the best in the world are at the forefront of fascinating medical breakthroughs in many leading hospitals both in India and abroad. However, the fact that ancient India was known for its tremendous contribution to medical science and surgery, does not fade into the background as traditional medicine continues to baffle many with its efficacy and gentle care that goes to the root of the ailment and deals with it. What is more soothing is that it does not have harmful after effects that modern medicine has. Around 800 BC, the first compendium on medicine and surgery was compiled in ancient India. The Charaka Samhita written in Sanskrit in the Maurya period, was an ayurvedic text on internal medicine. There are already nearly 150,000-recorded Ayurvedic, Unani and Siddha medicines. There are over 1,500 asanas (physical exercises and postures) in yoga, which originated in India more than 5,000 years ago. Yoga masters say thousands of asanas have been lost by sheer carelessness as it was not documented. Till now, countries like the United States would consider it intellectual property only if it was documented in a scientific journal and not if the wisdom was passed down through the generations. In a country like India, a lot of traditional knowledge has come through sheer oral methods from generation to generation. As Indians had faith in herbal and natural medicine, it grew. Down the years, the West went about patenting a lot of medicines that basically had its roots in Indian traditional knowledge. It was not only Indian traditional medicine that the west was after. It appropriated the traditional knowledge of African countries among many other developing countries with ancient civilisations. It was only then that the Indian government got down to creating a platform to stop the raid and set up the Traditional Knowledge Digital Library. The idea was to document it meticulously so that it would be difficult to steal the intellectual property. It was a unique project involving meticulous research and documentation. It was not easy to put together thousands of years of accumulated medical knowledge that could be accessed at the click of a mouse. After many years of hard work, the efforts of the Council of Scientific & Industrial Research (CSIR) and the Department of AYUSH, Ministry of Health, the knowledge is now digitised. Incidentally, this is the world’s first traditional knowledge digital library. It has over 200,000 ayurveda, siddha and unani formulations across 30 million pages in five international languages. It took over a hundred experts six years to do and cost around 2.5 million dollars. Very few countries in the world can boast of the variety and vastness of traditional knowledge that India has. Interestingly, this knowledge has been exploited and claimed exclusively by foreigners, both individuals and corporations. The library will go a long way towards helping India protect its traditional knowledge. When patents are stolen-like it was in the past, it was not easy for India to fight back as it entailed expensive court cases abroad to win them back. Despite the plunder of Indian traditional knowledge, western scientists have ironically always looked at Indian traditional wisdom with a great scepticism arguing that it is not scientific as it has not been tested in a laboratory. With the digital library now having details of herbs used for curing various ailments, scientists can now launch their pharmacological tests. Points out Dr. Suman Sahai of the Delhi based Gene Campaign: "The demand for laboratory testing is merely a charade and there is no reason to subject traditional knowledge to such things before according it due place. The magic properties of Arogyapacha did not come from scientists sitting in a laboratory, but from a community," she says, referring to the medicinal plant known for thousands of years to the Kani tribals of Kerala. The plant had properties that made them feel energetic even after a hard day's work that involved climbing very steep mountains. While the tribals climbed steep slopes, they kept plucking the leaves and eating it. Late in the evening, they were as energetic as the were before they started their journey upwards. Experiments and studies by the Tropical Botanical Research Institute of India proved that the leaf had very strong properties to build the immune system and was a stress buster. Points out Sahai: "If the west is going to use our knowledge, they must enter into a benefit-sharing arrangement with us. Will the Americans dare to pirate the knowledge of the Japanese? But they will gladly steal Indian traditional knowledge, knowing fully well that India will find it very difficult to fight them in international courts." Indeed, the costs of contesting international claims on knowledge are quite high; a single court case may be as expensive as setting up the digital library of traditional knowledge! It is a luxury India can ill afford. In 2000, CSIR found that almost 80 per cent of the 4,896 references to individual plant based medicinal patents in the United States Patents Office related to just seven medicinal plants of Indian origin. Three years later, there were almost 15,000 patents on such medicines spread over the United States, UK, and other registers of patent offices. In 2005, this number had ascended to 35,000, which clearly demonstrates the interest of the developed world in the knowledge of the developing countries. Conveniently, none of the patent examiners are from developing countries, allowing a virtual free pass to stealing indigenous knowledge from the Old World. 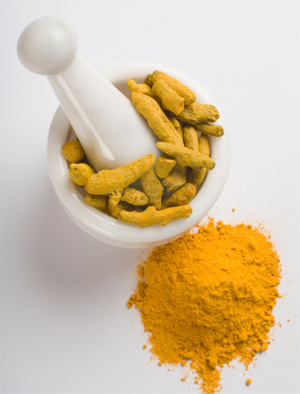 In 1995, the US Patent Office granted a patent on the wound-healing properties of turmeric (Haldi). Scientists at CSIR asked for a re-examination of this patent - #5401504 - filed by two US-based Indians. In a landmark decision, United States Patent and Trademark Office revoked this patent as turmeric was being used in India for centuries. This was the first time that a patent based on the traditional knowledge of a developing country was challenged successfully and revoked. The case of the revocation of the patent granted to W.R. Grace Company and US Department of Agriculture on Neem (EPO patent No. 436257) by European Patent Office, again on the same grounds of its use having been known in India, is another example. 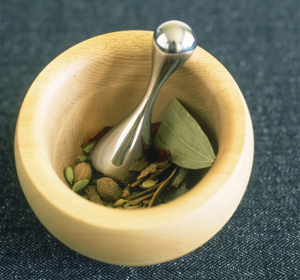 In Ayurveda, Unani and Siddha, formulations work. But the western mind looks for one molecule so that it could be isolated, synthesized and multiplied for mass production. But Indian medicine uses numerous components to make it effective. Ayurveda acharayas use the holistic approach going to the root of the problem which the west cannot understand. Points out Sahai: “Here the western molecule system will not work. But the kashayams and arishatms of ayurved will. A civilization that knew metallurgy discovered the magic of traditional plants that were safe without side effects because they were tested down hundreds of years." While these examples suggest that some errors can be reversed, this comes at a high cost and after enormous effort. For example, the US case dragged on for two years and cost US $6 million! It cost much more than building the digital library. The pioneering Indian effort is now encouraging many other countries to do the same thing to protect their traditional knowledge. Various countries like Iran, Republic of South Korea, Thailand, Magnolia, Cambodia, South Africa, Nigeria, Pakistan, Nepal, Sri Lanka and Bangladesh are now considering setting up similar databases. So will countries like China and Japan who also have a wealth of traditional knowledge. I found your article most interesting. I'm doing a study on the role of governments and stakeholder groups in patent revocation cases and would be very interested in interviewing the Indian scientists from CSIR involved in the patent challenge for turmeric. Would you be able to get me names and contact information? It will be much appreciated (I've tried without much success). We are also looking at Neem and Basmati patent revocation cases. Thank you for the helpful information in this account.